Mr. Clarence Harp age 48 of Reynolds, Georgia affectionately known as “Grandaddy” & “Gramp” passed on Tuesday, April 29, 2014 at his residence. Funeral services will be held on Saturday, May 3, 2014 at 1:00pm at the Taylor County High School Auditorium. Burial will follow in the Rocky Mount Baptist Church Cemetery. Mr. Clarence Harp was a native of Taylor County and was a 1984 graduate of the Taylor County High School. He was formerly employed by D. Lance Souther, Inc. of Macon. 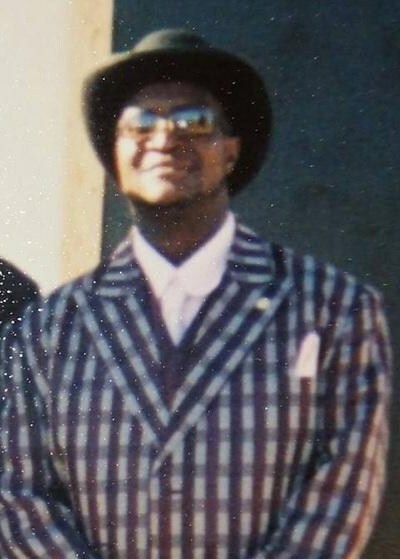 He is survived by a wife Ponthea Nicol Harp, two sons Pierre Lee, Clarence Walter Harp, Jr. Parents Willie Bubba Harp & Helen Knowlton Harp, Brothers: Willie (Tina) Harp, Jr. Trini (Symanthia Harp, Demetra (Ramonia) Bivins, Sisters: Deborah (Lewis) Jordon, Nichole Howard, Constance Harp, Shanesia Harp. The family will receive friends at 42-B Louisiana Court, Reynolds, Georgia. Funeral services for Mrs. Lonnie Mae Harris of Railroad Street Americus, Georgia will be held on Saturday, April 26, 2014 at 12:00 Noon at the Friendship Baptist Church with Rev. Mathis Wright officiating. Burial will follow at Staley Memorial Gardens. Mrs. Harris died on Sunday, April 20, 2014 at the Phoebe-Sumter Medical Center in Americus, Georgia. Mrs. Lonnie Mae Harris was born in Americus, Georgia on October 9, 1929 to the late Willie and Lampteen Martin. Mrs. Harris professed her faith in Christ at a very young age and joined the Union Grove Baptist Church, where she served as Mother of the Church until her health failed. She was a member of Habakkuk Chapter #70 Order of the Eastern Star. Mrs. Harris was employed by Sumter Regional Hospital in housekeeping for 29 years. In 1945 she met and married her devoted husband of 64 years, Mr. Romeo Harris, Sr., who preceded her in death in 2009. Mrs. Harris was also preceded in death by one son Deacon Romeo Harris, Jr., one brother, Mr. Willie Lee Martin and a grandson SSGT. Johnny B. Thomas. She leaves to cherish her memories, three devoted children: Virgirie Harris-Thomas and Eric B. Harris both of Americus, Georgia, and Mackel (Lynette) Harris of Atlanta, Georgia; one sister, Philla Pheen Logan of West Palm Beach, Florida; one brother, James (Bonita) Martin of West Palm Beach, Florida; daughter-in-law, Mrs. Doris Mae Harris of Smithville, Georgia; six sisters-in-law: Mrs. Rena Walker, Mrs. Delois Baldwin of Aliquippa, Pennsylvania, Mrs. Velma Harris, Mrs. Lula Mae Harris, Mrs. Virgirie King, and Mrs. Berdia Mae (Otis) White all of Americus, Georgia; two brothers-in-law: Mr. Woodrow Harris and Mr. Anno (Betty) Harris all of Americus, Georgia; eleven grandchildren, twenty-two great grandchildren; a host of nieces, nephews, and other family/friends, including a devoted God-son Timothy (Sharon) Johnson. Memorial Services for Mr. John Lee “Rick” Joiner will be Saturday, April 26, 2014 at 3:00 p.m. at Union Baptist Church on Norris Street in Montezuma, Georgia with Rev. Joe R. Hairston officiating. Mr. John Lee Joiner, son of the late Clovis and Iona Colzie Joiner, was born May 27, 1927 in Perry, Florida. He was preceded in death by his sister, Dorothy Oglesby and two children: Veronica Thornton and John Lee Jones. John, better known as “Rick”, was educated in the Macon County School System. He later served his country honorably in the U. S. Army. He departed this life on Saturday, April 19, 2014 at The Medical Center of Central Georgia in Macon, Georgia. He leaves to cherish his memories his wife, Annette C. Joiner of Montezuma, Georgia; children: Frankie Johnson of Philadelphia, Pennsylvania, Wanda Bond of Windsor, North Carolina, Peggy Ann Grey of Manhattan, New York, Nichole Joiner of Ellenwood, Georgia, Jonathan (Jennifer Evins-Joiner) Joiner of Morrow, Georgia, Ronald (Melinda) Cotton of Acworth, Georgia, Lutrina (Michael) Shelton of Locust Grove, Georgia, and Eric Cotton of Jonesboro, Georgia; a host of grandchildren including: Eric Jr., Whisper, Noah, Selena, Ezekiel, Sesame, Ja’Rajnik, Milottie, Traneicia, Joleeia, Latina, LaTisha, Jacqueline, Sherry, Terri, Nikia, and Alexix; a host of great-grandchildren, other loving relatives and friends. Willie James “Flute” Larry, age 72 of Roberta, Georgia passed away Tuesday, April 1, 2014 at Heart of Georgia Hospice in Perry, Georgia. Willie Larry, son of the late James Larry and Elizabeth Oglesby Larry was born December 12, 1941 in Montezuma, Georgia. He was employed as a truck driver for A.M. Bickley in Marshallville prior to moving to Florida. Left to cherish his memory are his cousins: Ms. Sarah Baldwin, Constance “Dimp” Baldwin, and Melissa Baldwin all of Montezuma, Georgia, Pebbles Baldwin of Ideal, Georgia, Emma Jean Forbes and LaSonya Larry of Oglethorpe, Georgia; a host of other relatives and friends. Direct cremation of Mr. Willie James “Flute” Larry was arranged by West’s Mortuary, Montezuma, Georgia.